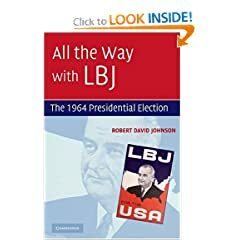 I spent several years as a non-resident research associate at the Miller Center for Public Affairs, working with the Center’s Presidential Recordings Program, for which I co-edited four volumes of LBJ transcripts. During that time, Philip Zelikow was the Miller Center’s director, and Tim Naftali headed up the PRP. Max Holland, a non-academic who has done excellent work on the history of the Warren Commission, was another non-resident research associate. Since I know all the parties involved, it was with profound sadness that I read Holland’s most recent—and deeply personal—attack against Naftali. Holland’s departure from the Miller Center apparently wasn’t a pleasant one; in 2005, he cryptically noted, “A dispute between the Miller Center and Mr. Holland ended in a mutually agreeable settlement.” Following the settlement, he launched sporadic attacks against both Zelikow and Naftali. In one essay, Holland faulted Zelikow, as staff director for the 9/11 Commission, for seeking to distribute the Commission’s report through a commercial press (Norton) and the Internet rather than through the GPO and government depository libraries. (Holland complained that this approach—which almost certainly brought, and continues to bring, the commission’s work to far more people than would have been the case through a GPO/depository library strategy—“discriminates against citizens without on-line access, as well as those without a broadband connection.”) Holland also described as “cronyism” the hiring of Naftali (an expert in both the history of intelligence and the history of the presidency) by the Commission. In another of his commentaries, Holland criticized Zelikow, Naftali, and Ernest R. May for the standards of the Presidential Recordings Program. As I noted at the time, Holland envisioned “criteria that could only be satisfied by a transcription that contains all utterances, sounds, and potentially pregnant pauses, along with an aural rather than grammatical transcription.” Such an approach, while not one that I share, is intellectually defensible, but, much like Holland’s preference for depository libraries over the Internet, would have had the effect of rendering the historical source less accessible to the widest possible public. In both of his columns, Holland also employed a tone that suggested something more than a good-faith intellectual dispute was at issue. First, Holland (now writing for a publication, “Washington Decoded,” for which he is editor) no longer disclosed his dispute with the Miller Center, as he had done in his 2005 History News Network post. Instead, he softened his revelation: “Max Holland worked on the Lyndon Johnson presidential tape recordings at the University of Virginia’s Miller Center of Public Affairs from 1999 to 2003; during that time, Naftali was director of the Miller Center’s Presidential Recordings Project.” I e-mailed Holland to ask why he didn’t disclose the settlement with the Miller Center; in his reply, he didn’t explain his decision, though he did write, “Certainly I hope there will be full disclosure, too, about your role at the Miller Center.” I believe I have accommodated his request. “Washington Decoded” has a prestigious editorial board, including David Barrett, Barton Bernstein, Mark Kramer, Stanley Kutler, Leo Ribuffo, and Thomas Schwartz. Surprised that any of these scholars would have approved such an unusual use of anonymous sources, I asked Holland whether any of the editorial board had reviewed his essay before it appeared. He declined to answer the question. The website of “Washington Decoded” does not explain the editorial board’s function. Given Holland’s history with the Miller Center and his signs of bias—not reaching out to Naftali for pre-publication comments (or referencing Naftali’s refusal to comment about the essay’s claims); allowing anonymous sources to make non-specific but harshly negative attacks about the subject of the essay—I suspect that most editors would have considered Holland too close to the issue emotionally to write about it fairly. And, I suspect, all involved would have been better served if Holland had chosen discretion and assigned the essay to someone else. Holland, unfortunately, is determined to continue his crusade, promising a future anti-Naftali broadside. Excluding the anonymous material, Holland’s essay levels two principal criticisms of Naftali: first, that Naftali was tardy with his work for the Commission, to an extent that the Commission couldn’t use the work effectively; and second, that Naftali acted as a “hustler” by publishing his research as Blind Spot rather than donating it to the Commission. The first point, though hardly a breathtaking development—a professor who’s late with his work(! )— would be relevant to a narrative history of the 9/11 Commission. The second amounts to a value judgment for which Holland’s bias renders him a dubious evaluator. In his essay, Holland claims that not personal pique but a high-minded rationale accounted for the time he spent ferreting out his tale: “Naftali’s self-aggrandizement at taxpayers’ expense might be a forgotten matter, except that he is now on the public payroll, and has been since 2006 as director of the Nixon presidential archives.” The first segment of his rationale exaggerates the evidence that Holland presents; the connection drawn in the second segment seems a stretch, to put it mildly. Those questions struck me as both obvious and appropriate. But to paraphrase Barney Frank’s comment to Kenneth Starr (minute 97.00 at this clip), I’ll have to concede the point, since Holland certainly seems to have become an expert in bias. Ms. Krusten: No one who has worked with tapes and transcripts could disagree with your conclusion that "Transcription is difficult. It is impossible to guarantee 100% accuracy." However, given your experience and objectivity, I urge you to go to the link cited above in my comment and listen to some of the disputed items on which Dr. Coleman and I disagree. It would be fascinating to have your views. P.S. Megan was still at JFK when I retired but she has since also retired. When I said "I picked up on none of that in Mr. Holland's piece," I meant by that that his piece showed no understanding of the need for anyone examining these questions to consider environmental issues or anything relating to mentors, transitions, cultural differences and how to learn about them. The article came across to me as look at what this guy did without getting into larger questions, or at least, to questions that I've found important in the long run. I wonder to what extent we see in these flaps not faculty type dust ups, but something bigger, related to our dispiriting Bowling Alone age. Even when matters involve historians and researchers, who more so than the average citizen, are trained to look at issues at a macro and a micro level, discerning patterns, underlying causes, and systemic issues, they often are presented as personally, as me versus him, or us versus them. Yes, it’s hard to step back and think about why things happen and why, when one is a player. I haven’t always succeeded in doing so myself. But it is worth the effort. I take no position on the Miller Center transcripts. Here’s why. Transcription is difficult. It is impossible to guarantee 100% accuracy. When I worked with the Nixon tapes as a NARA employee, we initially spent 300 staff hours to produce 1 hour of transcript and even then, we could not guarantee 100% accuracy to the federal courts to whom we submitted the materials. (We only did transcription when it was required for court cases.) As in so many high risk endeavors involving the Nixon tapes, we simply worked out what we thought was the best methodology, did our best using it, tweaked it as necessary, and learned to live with the result. As to the issues raised by Mr. Holland in his article about Dr. Naftali, I have to say I read it and thought, “what part of this is supposed to upset the reader?” My historian side kicked in from the moment I started reading. I kept thinking, I’m lacking context and data. Questions that came to mind were these: to what extent had Dr. Naftali previously worked in a federal environment? Who, if anyone, mentored him and gave him advice? Did he struggle with some issues alone, as people sometimes tend to do when they undertake a project which turns out to be bigger than initially anticipated? (How many of us historians have started digging for facts, and found ourselves going down rabbit hole after rabbit hole, with the clock ticking away?) Do things always neatly fall into place? Are we always in a position to speak candidly about what is going on with our projects? What options do we feel we have when we feel stuck? Is there a safe haven for discussing them? Or do we have to scramble to pretend all is well? And then there are the broader cultural issues. The biggest transition in going from academic work to federal lies in the need to stop looking at things as an individual and to start looking at things from an institutional perspective in terms of broad, enduring stewardship obligations. I didn’t do it instinctively when I first entered federal service 37 years ago. It took me a little time and some bumps along the road – yes, I made some mistakes -- to get to the point where my main focus wasn’t me and my own career. It took me a couple of years to start thinking, “don’t let down the agency, it’s not about me, it’s about us as a team and the public trust and the institution, above all.” Over time, one learns to look at issues broadly, through the lens of stewardship. It helps to have mentors and bosses who model that and who understand the need to communicate those lessons positively and affirmatively, not negatively and punitively. I picked up on none of that in Mr. Holland’s piece. Yet the fact that Dr. Naftali has hung tough in a difficult position for what, four years now, instead of jumping back into the private sector, suggests to me that over time, he may have developed some of that type of unique but necessary public servant’s perspective not found in other settings. Perhaps I’m expecting too much in reading articles relating to governmental matters written by outsiders and coming away disappointed. Perhaps I’m just tired of a Bowling Alone, Big Sort age, where empathy has become a pejorative term, community seems to have shrunk to “people who think just like me,” and pointing fingers on display more often than I would like to see. Dr. Stern, are you in touch with Megan Desnoyers? Is she still with the Kennedy Library? Please do give her my best regards. She undoubtedly remembers me and tape number 90! The real issue, however, remains unresolved: how did these errors escape the elaborate Miller Center review process? I never worked with Dr. Naftali as a NARA employee, but I did work for 14 years in the unit he now supervises. I count among my friends some of the people who have worked with and for him. That’s a wonderful summary of the type of charge someone leaving the academic world and taking a position with NARA might face. In the ten days since that comment was posted on March 12, Mr. Holland has offered no rebuttal. Looks like a missed opportunity. I see from his blo Mr. Holland plans to write about Dr. Naftali’s tenure at the Nixon Presidential Library. Had I been tackling that important topic, I would not first have written a piece that labeled Tim Naftali a hustler. And I definitely would have pushed back against the commenter who seems unaware of the NARA culture. Too late now that I have pointed out the tactical problem with not doing so. So much for that, I suppose. It is not the purpose of a Presidential Library to “trash” or to praise the former President whose records it holds in its archival collections. And the Library is not the President’s “own,” it bears his name as the creator of records. The records are the property of the U.S. government. Not a good sign that Mr. Holland did not point this out in the comment boxes. The Nixon records situation certainly has been filled with drama from the time he resigned the presidency in 1974. People at the National Archives have had to gut things out in the past and it looks as if they still are, now. (Good luck, guys!) Some day someone may write a thoughtful account of everything that happened since the day in 1977 when I helped move Nixon tapes and files out of the Old Executive Office Building to the National Archives. Assuming the account does not rely on hearsay and unnamed sources, it’s worth pointing out that a scholarly examination would not be simple. It’s definitely not a case of interviewing people about faculty lounge type of dust ups. Not all the information would be easy to obtain and verify. The National Archives’ records are FOIA reachable, those of the Nixon Foundation are not. Yet the two entities work together in a public-private partnership and the story would be incomplete if told from only a single POV. Nixon’s estate retains the right to object to what NARA proposes to release from the presidential records. I could be wrong, of course, but Mr. Holland’s take on Dr. Naftali’s research for the 9/11 commission suggests to me that he may not be the best person to try to explain how different professional cultures operate. Or to assess the challenges people face in moving from one culture to the other. Ah well, there’s always the chance that someone else may write a definitive account of the Nixon struggles, still ongoing in 2010, one day in the future. Thanks again for posting this, Dr. Johnson. Much appreciated. Left out a word -- that should be "long line of National Archives officials (of which I once was one). . . ."
http://thenewnixon.org/2010/02/16/there-naftali-goes-again/ ? How many scholars would enjoy stepping up into a long line of National Archives (of which I once was one) accused of anti-Nixon bias, and being called an appropriate director of the Alger Hiss library? That wasn’t the first charge flung at the federal director of the Nixon Library by someone on the New Nixon blog. In 2009, when Dr. Naftali invited John Dean to speak at the Nixon Presidential Library, the Nixon Foundation said it would withdraw $150,000. in funding for an exhibit that NARA was planning to display. Sure doesn’t sound like self-aggrandizement to me. Sounds more like gritting it out in public service, about which I know more than a little. I see in Dr. Naftali a courageous and honorable man, putting himself in the line of fire for the public good in his actions at the Library, much more than I see self aggrandizement.